Small and sophisticated, quite exquisite. 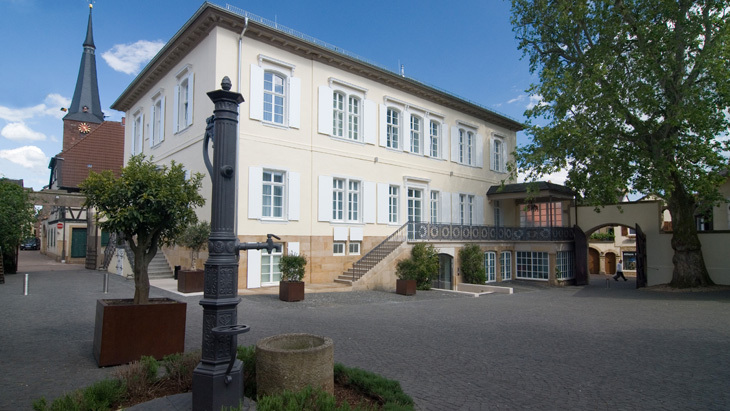 These are particularly apt attributes in the case of the Ketschauer Hof: the small private hotel in Deidesheim on the German Wine Route is one of the "Small Luxury Hotels of the World". With just 18 rooms and suites, it has quickly established a nationwide reputation. Since 2009, behind the baroque façade of a former vineyard manor house, this 5-star hotel has been enticing visitors with its ultra-modern comfort and gourmet restaurant. Constructed at the end of the 18th century, this noble vineyard's main building captivates visitors with its mix of design and tradition. Drawing rooms and guest rooms appear fastidiously modern. Stucco, oak parquet floors and airy rooms convey the atmosphere of a mansion with an aura of times gone by. With its small, choice wellness program and top-class catering, this hotel is a well-guarded secret of the highest calibre. The bathrooms, where Axor Citterio M mixers represent modern, urbane luxury with a sense of timelessness, contribute to the hotel's reputation. Axor Citterio, a collection already considered an icon in bathroom design, was used in the wellness and beauty area. When selecting the range of mixers, the focus was on comfort and quality. "The high level of user-friendliness, the excellent product quality, not to mention the elegant, timeless design, all convey a sense of quality and underline the luxuriousness of the hotel", according to the Manager of the Ketschauer Hof. And the no-frills, sleek design bridges tradition and innovation.